Looks like things are not going well with Airtel ,starting July 1st Airtel Call home Service would be in history. As per airtel they claim it as unforeseen circumstances and cites that Airtel Call Home will not be able to extend its services from 30th June 2011 (2400 hrs)onwards. While on the other end Airtel is also recommending all its Call Home user to consume available talk time and states that the unutilized talk time balance within the validity period will be refunded. The Toll free/Local Access services shall remain fully functional till 30th June ‘2011 (2400hrs). So now the question is what made Airtel to take this decision ,we will keep you posted more on this as and when we get a clear picture . but distributor don’t know about this, they say yes you can! Please explain some more. I could not understand this article. 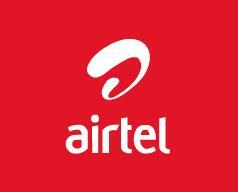 Will Airtel close his mobile service from June 30th?